A Scotland youth international, Tony joined the Reds from Falkirk during the 2018 January transfer window. The left-back had established himself as a first-team regular with Falkirk at the age of 18, having made his senior debut for the Scottish Championship club in November 2015. 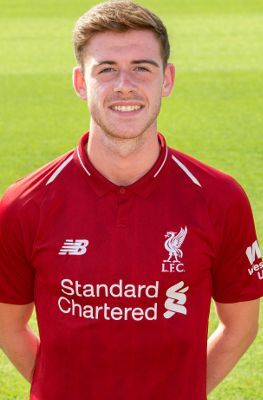 Tony is a member of Liverpool’s development squad and will aim to continue progressing at U23 level under the coaches at the Academy. He scored his first goal in a red shirt for the U23s with a spectacular strike against Arsenal in April 2018.